Although it's still pretty cold everywhere in the country, Gorgeous weather is right around the corner! So make sure and prepare for the fun with the Step 2 Rain Showers Splash Pond Water Table™ Kiddos can make it rain in their very own mini water park with the Rain Showers Splash Pond Water Table. Little ones can use the large bucket to scoop up water from the pond and pour it into the top tray to make a showering splash below! While the rain shower drizzles back into the pond, they can watch as it activates the maze-like spinners and ramps to create a cascade waterfall. This large kid’s play table features a spacious design to allow for multiple kids to play together. Made in USA of US and imported parts. 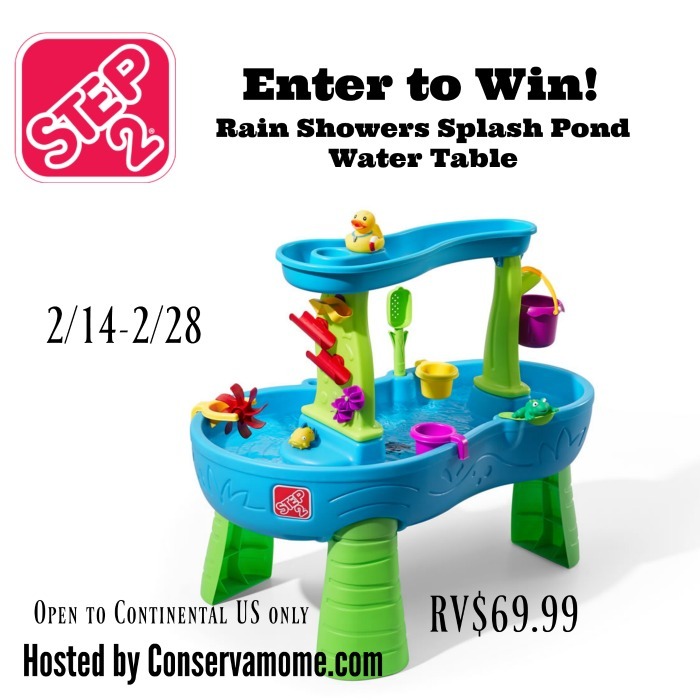 Check out What Conservamom had to say about this fun Water table here. Now for the best part! One Lucky winner will have the chance to win this fun table for their little one! 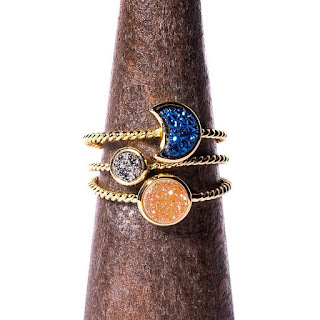 This giveaway is open to Continental US only and ends on 2/28 at 11:59pmEST. I would like to win this for my grandson -- he would have so much fun playing with this. I have 3 grandkids aged 2,3, and 3, They would absolutely love to have this at my house to play with. They are here what seems like all the time so it would be perfect. I would so love to win this for my granddaughter. We would have so much fun with it this summer. I'd like to win this gorgeous playset for my grandniece. I think she'd have a wonderful time playing with it.